According to Hubspot, 59% of B2B marketers say email is their most effective channel for generating revenue. In other words, email is king for over half of B2B marketers. Still, the B2B market is different from the B2C market. The length of the buying cycle is much longer, the emails aren’t as casual (although they still should be fairly casual), and educating the buyer is a much higher priority. Benchmarking B2C businesses is great. However, sometimes the wisest move is to benchmark other B2B companies that send out compelling emails. So, without further ado, here are six emails from B2B SaaS companies that will inspire you today. The SaaS public market is expected to grow by 76 billion dollars from 2018 to 2020. More companies than ever are jumping in the B2B SaaS marketplace. And some business owners feel like the space is getting too crowded. After all, 80% of businesses fail within the first 18 months. That sounds discouraging. Nevertheless, thousands of SaaS businesses are thriving. The real question is what are they doing differently? Forbes insists they’re specializing. One company that’s doing a great job specializing is KISSFLOW. Take a look at how their email boasts about their niche appeal. First off, look at that headline, “KISSFLOW is *Not* for Everyone!” They even highlighted the word *Not*. That is bold, but it’s also eye-catching and refreshing. KISSFLOW brags about not being a jack of all trades. They tout their ability to handle workflows for customers. Yet, they openly admit they aren’t as good at task management as other software. KISSFLOW openly admits their weakness and it enhances their strength. There’s safety in numbers. There’s also revenue in numbers. At least Copyblogger thinks so. The respected site told its readers to advertise their copywriting services with specific numbers. Copywriters aren’t the ones using numbers to sell. Take a look at this email from BombBomb. 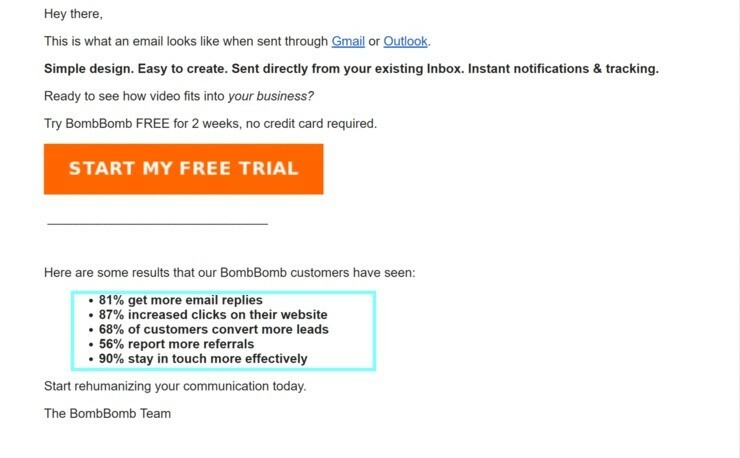 BombBomb uses specific numbers to boost their email copy. For example, they say, BombBomb customers get 81% more email replies than non-customers, and customers also get 87% more clicks on their website. These numbers enrich their email copy. Of course, many B2B SaaS businesses don’t have the numbers they need. That’s why hiring a B2B copywriter to write a case study is a great idea. It’s not only a good lead magnet. 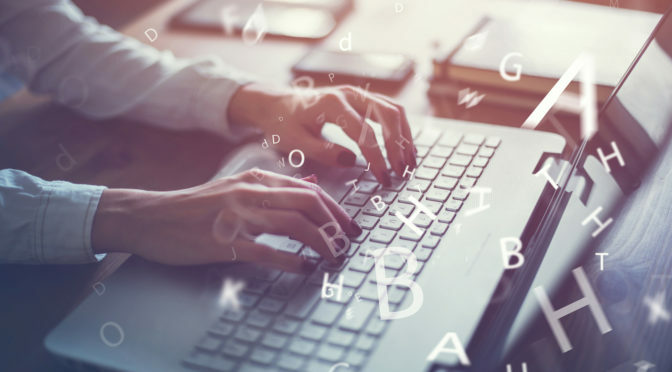 The valuable data you gain from the study can also be used to enhance your email copy. Good copywriting always answers the question, “why should the customer care?” When you list benefits instead of features, your message is clearer, more customer-centric, and more effective. Twist does a great job highlighting benefits in their emails. Look closely at the copy. The say “imagine a magical workday”, and “you have the power to focus on work without interruption.” This is benefit-oriented copy. For those of you who don’t know, Twist is a communication tool (like Slack) that minimizes interruptions and enhances organization. Yet, the copy goes beyond that. 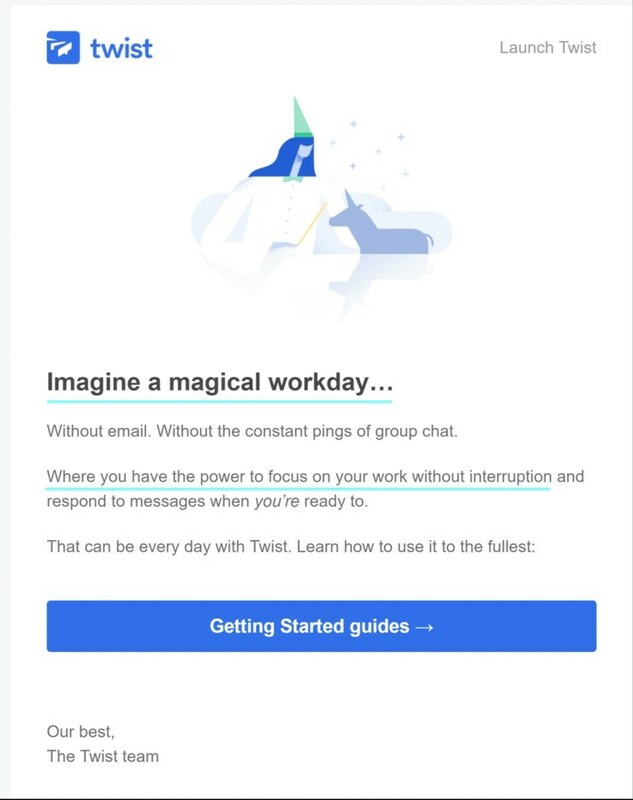 Twist uses phrases like “magical workday” and “work without interruption” to illustrate exactly why you should care. Here are some examples of features versus benefits. It’s a great read if you want to magnify your own email copy. Automation is vital because 78% of customers will only engage with offers if they’re personalized to previous engagements with the brand. Personalizing messages isn’t enough. It’s also vital to send the right message at the right time. 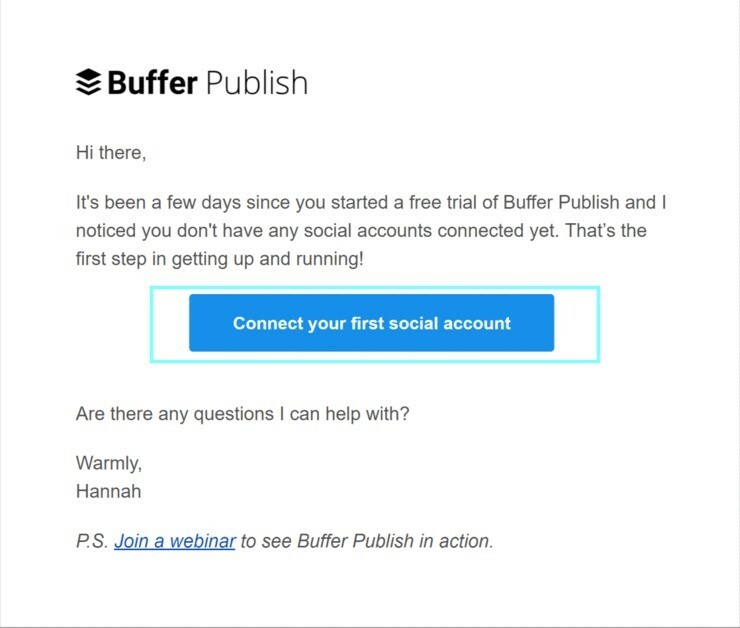 Buffer sends automated emails that are also timely. The email was sent a few days after the prospect signed up for their trial. It targets people who signed up for Buffer, but are dragging their feet for whatever reason. This group is different from the group that enthusiastically tries Buffer as soon as possible, and therefore the two groups get distinct emails from Buffer. Waiting a few days is better than sending this email an hour after signup. The timing gives customers a few days to experiment with Buffer, which is a savvy move. 81% of consumers want brands to understand when to approach them and when not to. Many B2B SaaS email marketers feel like their email list isn’t worth it. They want to get more traffic before they focus on their small email list. However, that’s a mistake. For one thing, if you don’t consistently email your customers, your list will wither away. Secondly, you can use your email list to get new customers. 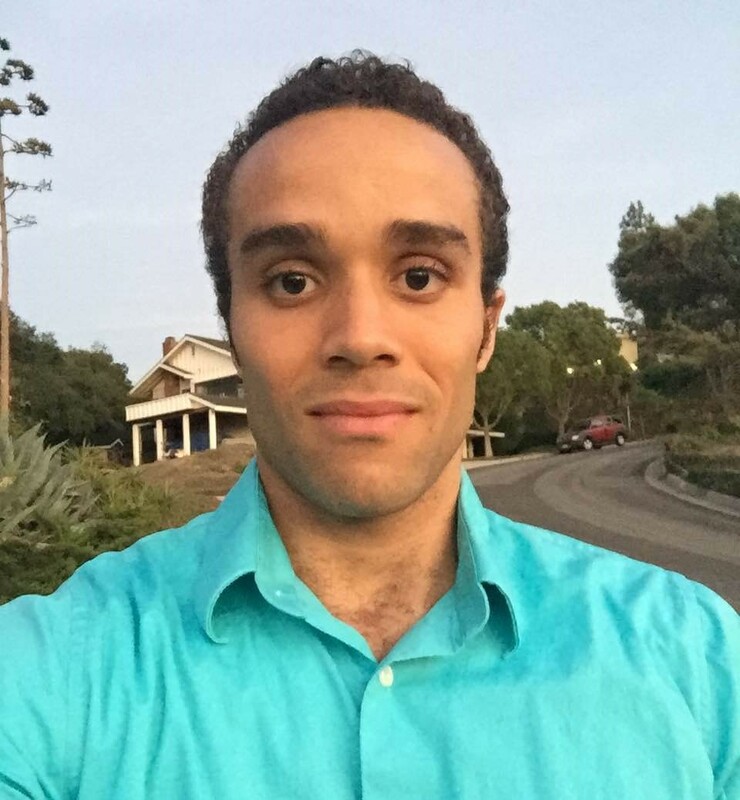 Check out what Christoph from SaaS Email Marketing did in his postscript. He put a click-to-tweet button in the postscript. The link takes you a landing page of the free chapter. Now, people are much likelier to tweet this because it’s easy. Some B2B SaaS marketers think we’ve reached peak content. Yet, content marketing is still thriving because it generates three times more leads than outbound marketing, but it costs 62% less. Of course, the dream is to make your content as fresh as a daisy. One of the ways to do that is to use unusual types of content like quizzes. Many B2B SaaS companies think quizzes only work in the B2C realm, but companies like Hubspot uses them effectively in the B2B space. 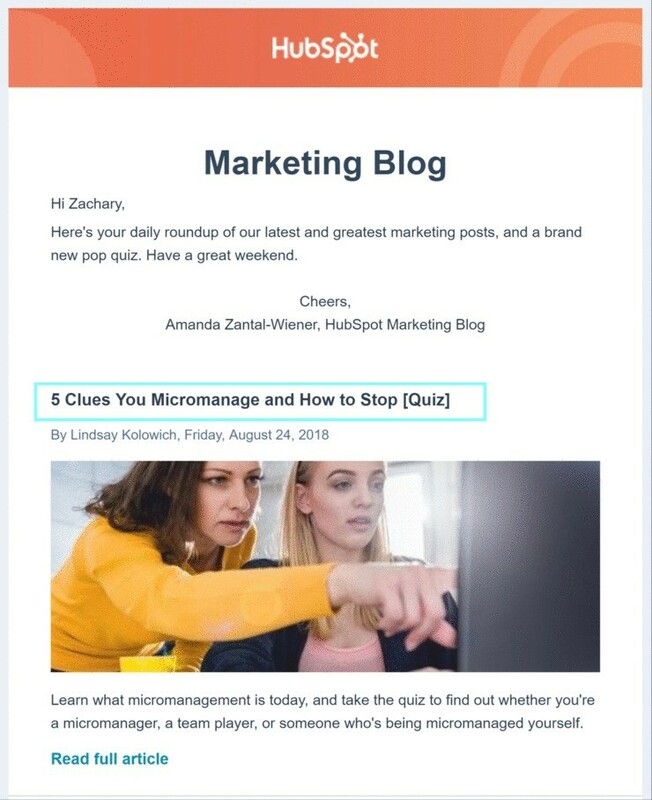 In this example, Hubspot just links to a quiz on their website. However, you can go one step further and build an interactive quiz directly in your email. Here are the rules for great quizzes. They should only be 2-3 minutes long as not to bore people. That’s about 7 questions. Make sure to use images to make the quiz more engaging. What B2B Emails Inspire You? Email marketing has an ROI of 3,800% (or 4,300% depending on who you ask). It’s the best marketing channel to grow your B2B SaaS business. Hopefully, the B2B emails here inspire you to write better articles. 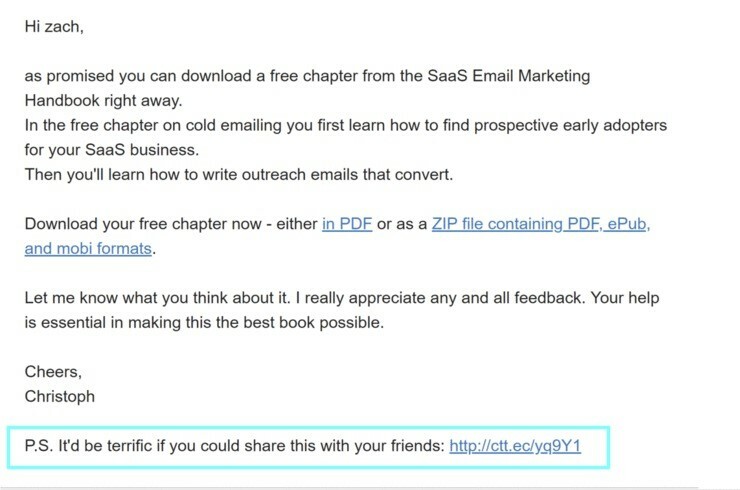 What are your favorite B2B SaaS emails and tactics? Please share them in the comments.